Captain’s Log. Diaper Date 2700. Daddy Chronicles: Cookie Dad. So the truth is this- I wasn’t much of a Boy Scout. I lasted one meeting. One. I can’t tie a knot, start fire with twigs, or identify poison ivy. But that doesn’t mean I want the same for my kids. Mrs. Captain and I were equally elated when The Artist decided she wanted to join Girl Scouts. She’s done it for a year now, and has enjoyed it. We have a cool troop with involved parents. 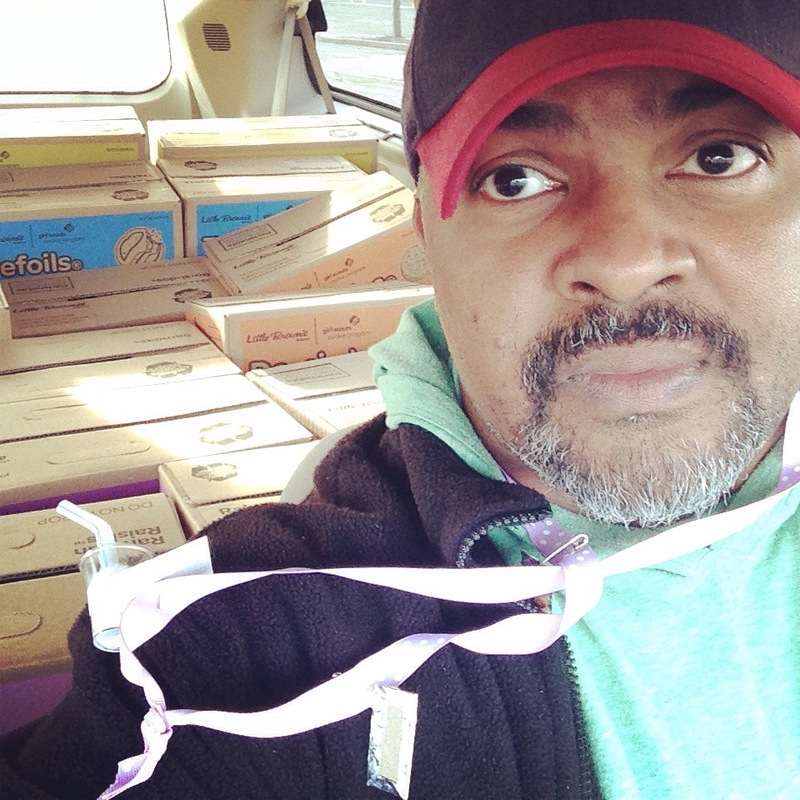 Wanting to contribute to the group, I volunteered to pick up the cookies for the troop. It sounded like a good excuse to use my minivan fun. And I was right. When I entered in the destination in my gps, I figured that it would take me to a corporate building of some sort. Instead, I found myself in the parking lot of an abandoned office building. It was like a scene from the A-Team. There were three Mayflower trucks full of cookies. Our job was simple- check-in, get our list, and then drive next to one of the trucks. They had it down to a science. All I had to do was count along with the gang. After I pulled up, one guy (with headphones) hopped into the trunk of my now empty minivan and awaited the delivery of other boxes. Three other guys stood outside my vehicle and passed along cases of cookies and counted as the headphone dude stacked and organized my car. It was amazing. 15 minutes later my minivan was full of 80 cases of cookies. It was definitely a new experience. Everyone raves about the new car smell, but they should check out the thin mint cookie smell. These are the sacrifices we make as parents. And they are delicious. Yummy! Send some up here please! I love the imagery! Scene from A-Team! Be honest, how many boxes did you sneak for yourself?…..